Sometimes you have to sharpen your skills. I have been a personal trainer now for 16 + Years. Learning New Techniques to sharpen my skills in the past has sometimes left me feeling like I am learning a new gimmick or false fact – or at best something most people are not going to do or need. This past week I had the privilege to go to Foxborough, MA to TB12 Sports and learn something new. Lets just say I could not have been more happy or impressed! When I first heard of the TB12 Method I was a bit skeptical and to be honest that’s always a good thing. As l learned more about it I became less skeptical. 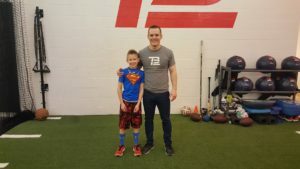 Then, I started to perform some of the exercises in my workouts, changed my workouts to mirror the TB12 Method, and now and am using it regularly as part of my routine. I have gone from skeptic to believer to ambassador. Meeting some of the team members and seeing it in action – seeing it implemented and in action was the best part. In my opinion, everyone could and should be incorporating some parts or many parts of this method into their routine. The best part is that you do not have to totally ditch what you have been doing! 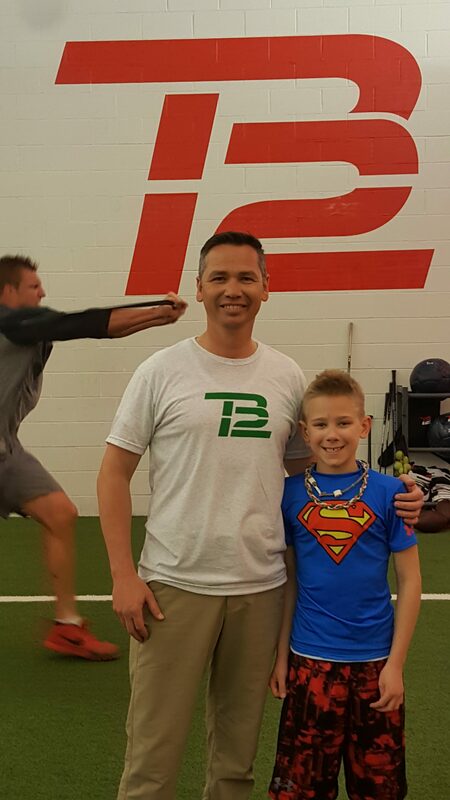 You can continue to train toward your goals and include some of the TB12 principles and methods to enhance your current program! Another Best Part – There is no 1 piece of magical equipment to buy. Yes, you need some bands, and other tools, but in comparison, these tools are different. They dont cost as much. They are very user friendly. And, they are portable. In my line of work that is definitely The Best Part! How was our overall experience @ TB12 Sports? Our experience could not have been any better! If we could do it again we would – and we probably will! Keep in mind that we live in Wisconsin! Everyone there was extremely professional, courteous, kind, caring, and I cannot say enough great things about our experience! My son participated, I learned! Alex Guerrero even took time out of his busy schedule to work with Lukas and discus techniques and methods with me! While I learned I also got to just enjoy watching my kid have a great time, learn along with me, and get treated better than I would have expected – and I did expect it to go great, just not in my wildest dreams would it have been so great! I know I didn’t go into a ton of detail with the TB12 Method and I don’t need to. There’s an entire book on it you can buy. Its worth the read. It comes with instructions and everything! I would encourage you to buy it, read it, and think about how using 1 or 2 of these techniques could help you! Remember, I started out very skeptical and now I’m blogging about how great it is!!! Also, I would encourage you to keep your guard up when it comes to the newest or best marketed form of DIET or revolutionary way to workout. Chances are its not all it is cracked up to be. If you have questions, I have answers – or at least know where to find the Right Answer! 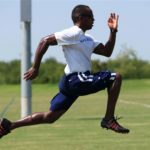 Contact us at www.LakeCountryTraining.com – We look forward to helping you! !